Jeep is readying the Compass Trailhawk for launch in India. The off-road-focused variant of the SUV comes with a plethora of goodies to aid off-road capability. Some of these include redesigned bumpers, more ground clearance, off-road-spec suspension and tyres, protective skid plates for the front suspension, fuel tank and the transfer case, and tow hooks at the front and rear along with an Active Drive Low 4X4 system. Powering the Trailhawk is the same 2.0-litre diesel engine which makes 172PS and 350Nm of torque. The Compass Trailhawk will also use a new 9-speed automatic gearbox. All the f eatures will also be carried over from the Limited Plus variant including the dual-pane panoramic roof. Expect the SUV to be priced upwards of Rs 25 lakh, a premium of Rs 3 lakh over the limited plus 4x4 variant. Launch of the car will happen by early july. Share your experiences with Compass? Q. How is the performance of 1.4 sports. Does selling my 5 year old Linea Tjet sounds like a wise decision? My driving is mostly on weekends and probably an average of 200 to 300 km per month. 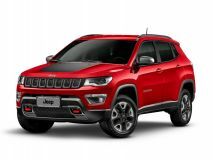 Can the new Limited Plus variant of the Jeep Compass make it the complete SUV that we envisioned ever since it was launched in 2017? The big Compass has a small 1.4-litre engine under the hood. Is that enough? Is the automatic gearbox any good? And what's it like to drive? Can the newest (and smallest yet!) Jeep do justice to the iconic brand?